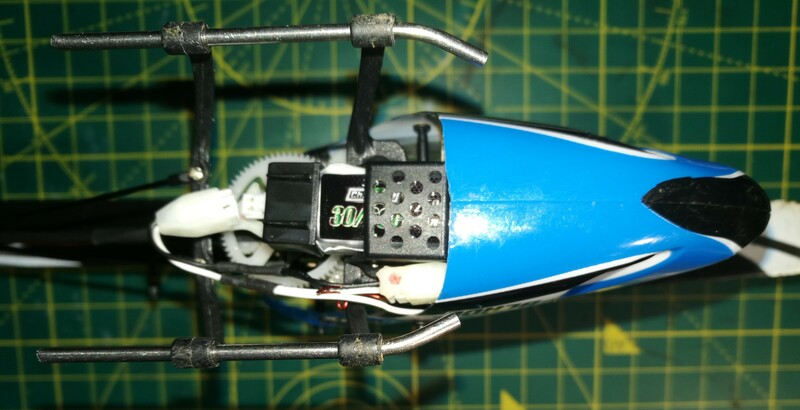 After adding the brushless kit to my Nano CPX I found the stock batteries were not enough. So I went looking for a inexpensive alternative. 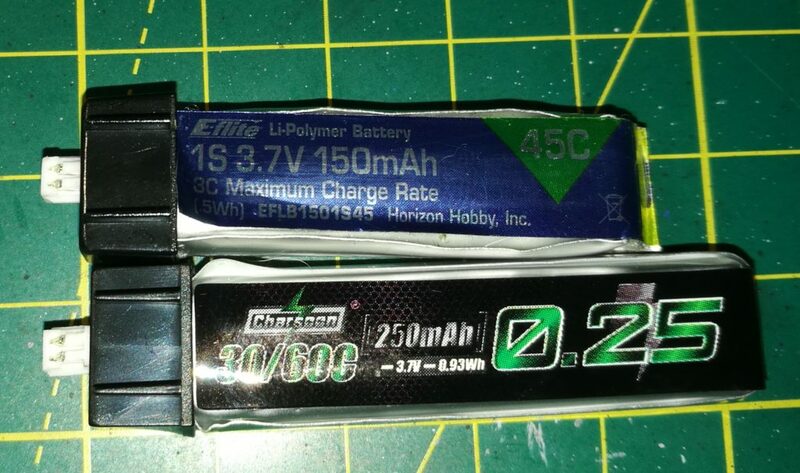 I found theses at Banggood.com, Charsoon 3.7V 250mAh 1S 30C/60C Lipo Battery for Blade Nano QX CPX and Tiny Whoop, Currently 16.99 USD for 5 batteries. They are 250mha rather than 150mha and have a 30/60 C rating. 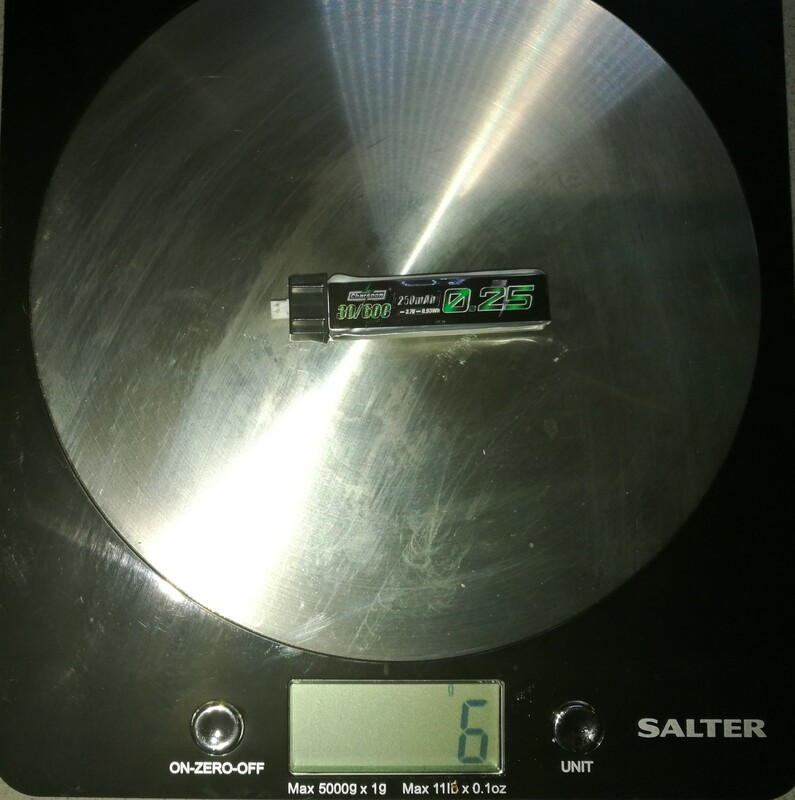 There is a noticeable size differnce between these new Batteries and the old one. 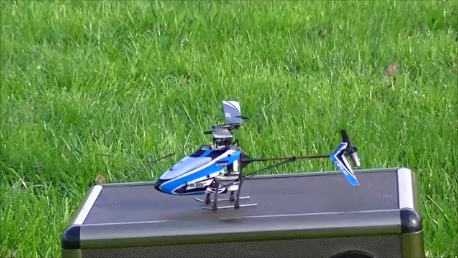 I had to slide the battery back a bit to maintain balance on the heli, but the extra power should have no issue making up for the weight difference. 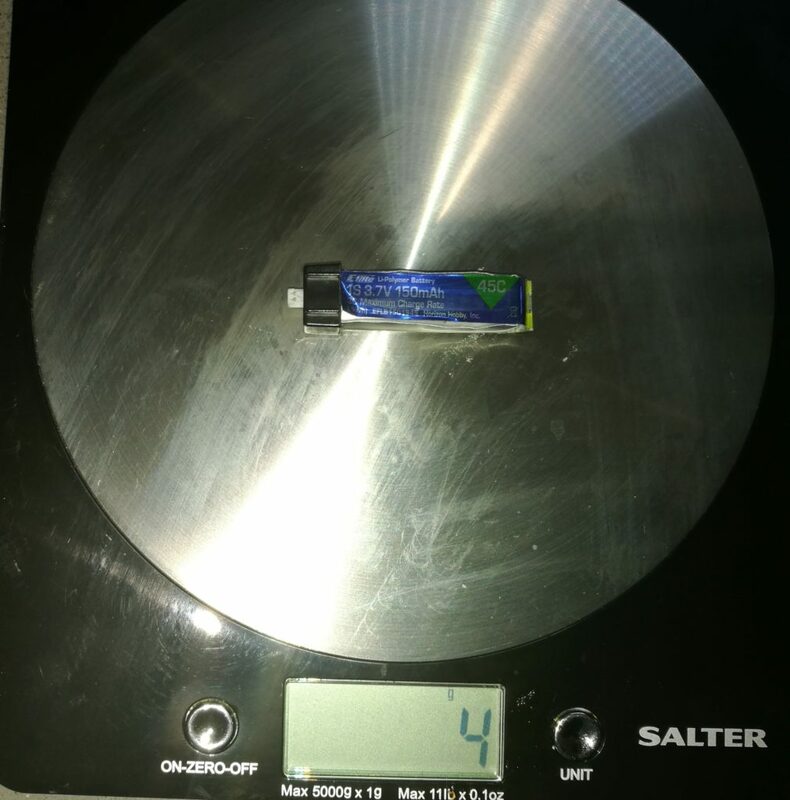 There is a about a 2 gram weight difference between the 2 batteries. 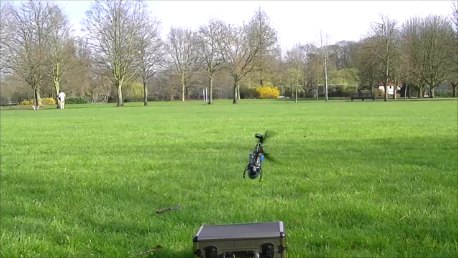 Got out to fly these new batteries today and they performed perfectly. They had power and there was less bogging on the motor. The punch outs were fast and had enough power to blow out the tail. Now I have to deal with that issue. Great batteries with plenty of punch. As a lower end battery this one really packs a punch and for 16.99 for 5 of them you cannot beat the price. Flight times went from 2 minutes for over 5. That is a massive improvement.